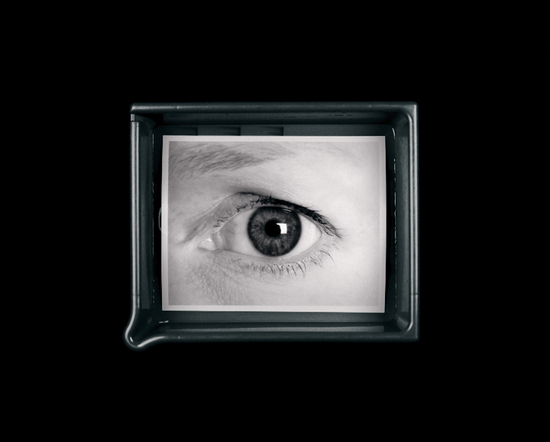 On the day of writing this I flubbed the origin of photography in conversation, and the who-is-who difference between Jean-Louis Daguerre, and Nicéphore Niépce, who were the original “inventors” of photography. 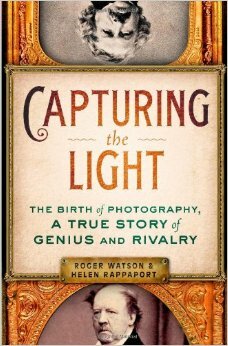 We’ve been selling “Capturing the Light” lately, which, I am told, is a “highly readable” historical biography (I have to confess that I don’t know what “highly readable” means. Reviewers of books use the phrase a lot. I wonder if they are critiquing the mess of typography they’re used to, or literary style, but nevertheless, I’m stealing it for now… I think the book was meant to be “highly readable” from the outset). I’ve never been one for origin narratives. I always get the players in the history of photography confused. Names and movements are less important to me than individual photographs, and I would like photography to be taken more as a given, treated more like the literary modernists treated language, or like American painters in the middle of the last century treated paint. I would advocate pictures that are less self-conscious, less recognizably academic, like Anne Collier’s newly received monograph, and more like the pictures advocated by the ever irascible critic David Hickey, pictures free of the doctrines of support-for-the-arts, and moreover free from the deadly chill of grant application/trying-to-find-a-parking-place/tenure-seeking seriousness. This is supposing that photographs are workable models for art, which is to my mind an arguable supposition, a whole group of younger Calgary-based photographers who work in and around the store have shown me that the unconsciously anti-art camera work that takes for granted the affective legacy of the camera is what makes it great. In essence, the idea is simply no idea at all, except whatever is in the picture. Well, duh… Anything that simple sounds irritatingly complicated, but it isn’t. Learning how to look at younger people, and the work they make, for me, has meant abandoning a slew of old yarns about this and that. In another conversation with an art student and painter/photographer the other day, it came about that we’ve always been modernists, anyway. This leads me to consider an incident that happened recently… A woman working for an organization that helps house older men, some with dementia, or other cognitive difficulties, came to find a book called “Last Call”. A man she had come into contact with had worked in the place that the book documents, a book that has particular resonance for me, as it summons something I read by the poet Mallarmé, called “Conflict”, that I found in a truly unreadable book of philosophy. Mallarmé wrote about a “robust intelligence” at odds with, and sometimes complicit with alcoholism, resulting in loss, disfiguring alienation, and circumstances of modern decay. “Last Call”, and the introductory writing by Karen Connelly, have stayed with me, intimately. Mallarme’s writing, and Connelly’s, along with the pictures, got to the “near-documentary” amalgam that the highest practice of photography achieves. It isn’t only a species of space, the photographs deal with the mnemonic. A camera is a time machine. This man had been quiet for a long time, and the book served as an aide to memory, I was later informed, and it opened him up to begin talking about the past, in the present, and this is due to the saint-like choice of the worker to care enough, to try to engage the man. She had done some research, and found a book of photographs of a place, from his time. By remembering the past, he could recover a moment in the present. A personal atlas of memory, implied long ago by the work of historian Aby Warburg has been in our hands also, since the inception of photography, the formal dimensions, the weird bits of distinction and class fabrication are bogus compared to the effect that I was witness to, and wanted to share, this way. I have a bone to pick with contemporary photo-art, it is boringly abstract (as opposed to expressively abstract), and unengaged with the matters of time that make the art of photography less of an art, and more a phenomenon, as it has always been after all. 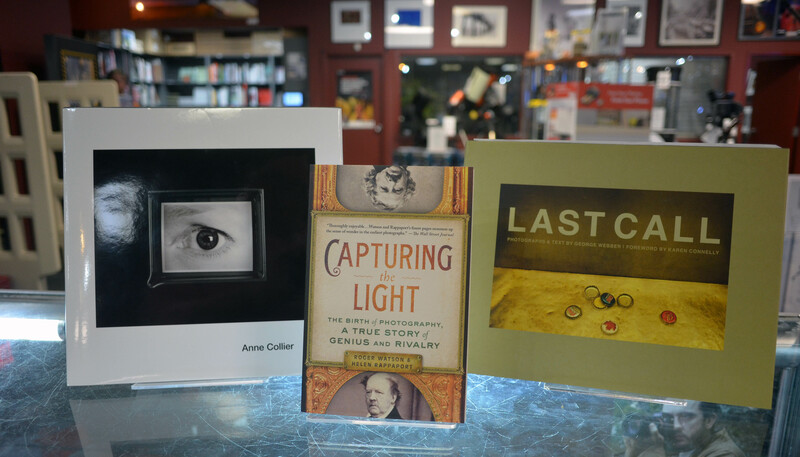 Anne Collier, Capturing the Light, and Last Call are all currently available for sale in-store or online at thecamerastore.com.